First player overhits pass into the feet of second player. Second player turns off first touch and then plays the same ball into the feet of player three. After pass is hit each player moves up one spot in grid. 4. Quality runs in between passes - keep it sharp and very lively!!! First player plays a pass to the second player who has checked off at an angle to receive the ball on front foot. Pass needs to be played to front foot. 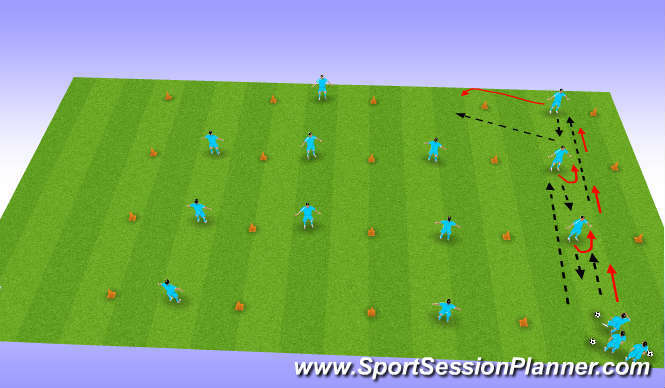 Receiving players open up hips and receive in a forward direction and plays pass with next touch to the next player in the grid who repeats the movement. Players quickly move up in the grid after each pass. 4. 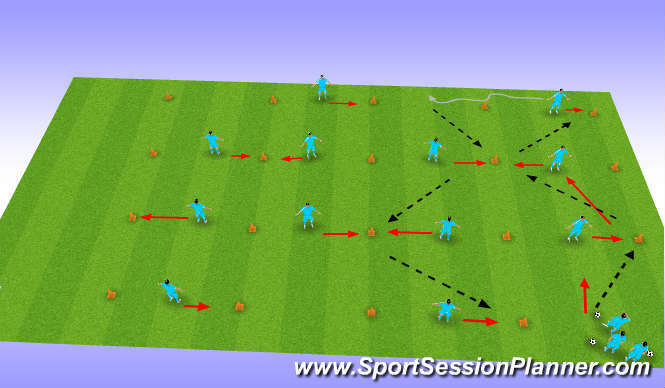 Game speed- pass, turn and run as if an a match !!! 3. 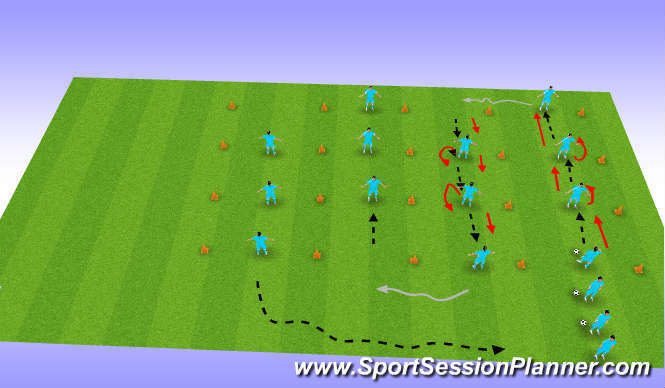 Spin off sharply as if leaving a defender- train the movement ! 4. Demand high quality ! !